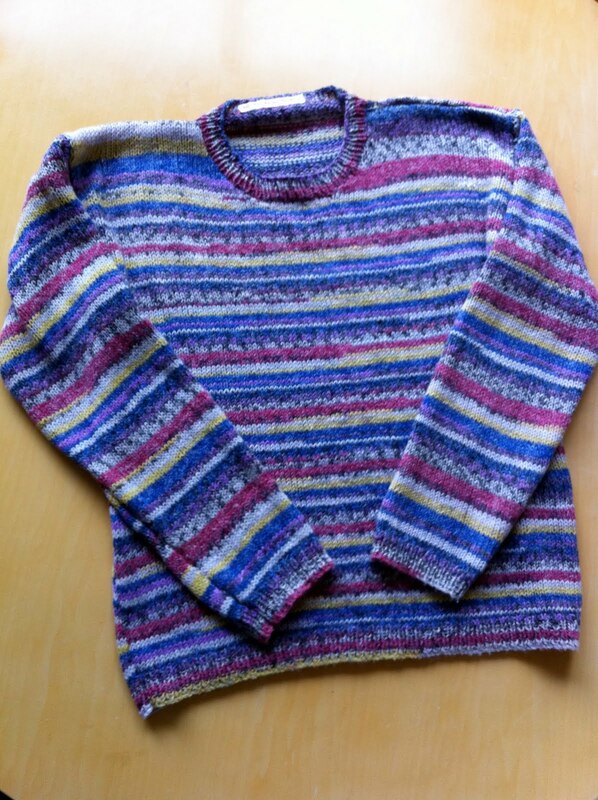 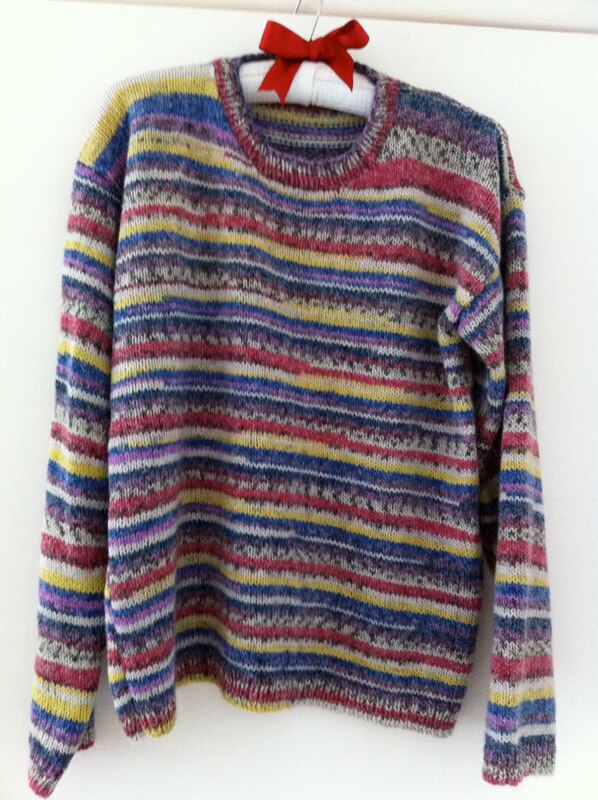 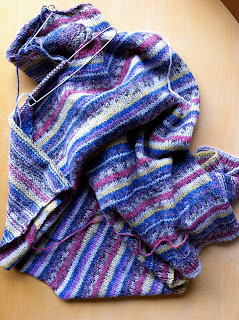 All finished and dusted …..
And hours of patient knitting …….. Strange shapes can grow ……. 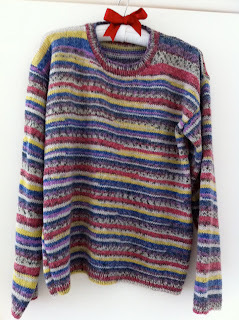 And how lovely that the gals want cosy handknits. 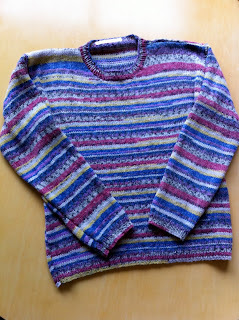 Rosie wanted a cuddly, stripey jumper. 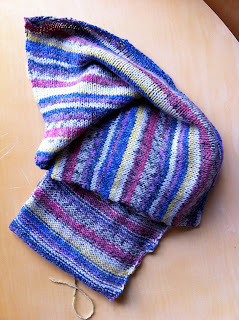 Magic yarn became a lovely, vintage style pattern.